It was with shock, sadness and anger that I learned that the City of Portland and the Portland Trail Blazers have joined together to demolish one of the greatest works of architecture, and one of the most historic sites, in the entire city: Memorial Coliseum. Demolishing the Coliseum is wrong for Portland, wrong for the Rose Quarter site, and sends the worst kind of message about how the city respects its history and sustainability. And all to build a minor-league baseball park. Let me ask all of you: How many of you have paid to see a Portland Beavers baseball game in the last decade? How many of you passionately follow the Portland Beavers? Even if you are a Beavers baseball believer, though, placing a stadium on the Coliseum sight is all wrong. Any stadium or arena is to a city's urban grid what a swallowed mouse is to a snake. It's too big to go down easy. Having anything next to the Rose Garden arena other than a stadium or arena would have been better. Portland has established a well-deserved reputation for sustainability over the last decade. But one of the paramount principles of building green is to renovate buildings instead of tearing them down. You could build something with a LEED Platinum designation on the Memorial Coliseum site, but it's not truly green--not at all--if you tear down a building to do it. In case there are people reading this who haven't read my previous posts (or others') about the Coliseum, it's worth reiterating that the building, however much it may seem to be in disrepair (which can be fixed), has tremendous architectural significance and historic value. Memorial Coliseum was designed by the legendary firm Skidmore, Owings & Merrill. It's one of the great arenas to come out of the mid-20th century, for which nostalgia and preservation efforts around the world have been growing. The building itself is noteworthy and unique for how the seating bowl is enclosed by a glass box. It gives the Coliseum a sense of transparency that virtually no other enclosed arena has. That's also an architectural quality that would be conducive to many types of renovations. The Blazers' plans for the Rose Quarter could easily accommodate the Coliseum. They want to have a covered entertainment venue for shows. Couldn't the Coliseum be altered to serve such a purpose? Anything would be better than razing it. Adding salt to the wound is that a better and actually even available site lies across the street: the outmoded Portland Public Schools Blanchard facility. Why not have the stadium there and only add to the "synergy" (to use the team and developers' words)? Another idea for the Portland Beavers stadium: the suburbs. Many supporters of the team are said to come from Southwest Portland and Washington County. Why not put the stadium on the MAX line in Beaverton or Hillsboro? I'll bet those towns would welcome the economic development potential of a minor-league stadium and not snicker (like I admittedly do) at the team or what its home will destroy. Mayor Sam Adams is, from what I understand, supporting the stadium at the site of Memorial Coliseum. Considering his fall from political/popular grace this year, I can understand the mayor not wanting to take on the Blazers and Merritt Paulson on this. But I think it would be a boon to his popularity if he rode in with a win-win solution like brokering a deal for the Blanchard site to host the stadium instead of the Coliseum destruction. It gives me great pain to be arguing against the wishes of the Blazers. I live and breathe Trail Blazer basketball. If the team wins another championship in my lifetime, that's all I'll ask for from God again. The Blazers should be protecting the Coliseum with a whip and a chair against any hungry lions. Instead, they've hired a corporate developer to generate a very, very cheesy sounding entertainment district that seems to have more Las Vegas or Los Angeles DNA than that of our Rose City. I'm also gravely disappointed that leaders in Portland's city council have allowed this to happen and even maybe encouraged it. Obviously they want the best for the city, but this is just not it. Maybe it conveniently solves the issue of where to put the Beavers' stadium since the Portland Timbers' MLS squad will take over PGE Park. But solving a multimillion-dollar case of musical chairs by destroying one of the most beloved buildings ever built in the city is not the way to do it right. As Portlanders we can not stand for this horrible plan that is contemptuous of history, sustainability and even the Blazers team itself. We need to start talking right away about petition drives, protests, back-door meetings--anything to prevent this tragedy from happening. Who's with me on the picket line? I think a big part of the problem is there's no movement coalesced around a specific plan for the Coliseum beyond "save the historic building". We had MARC on the table for a while, but the business model wasn't financially viable. I wouldn't mind seeing MC transformed into a major league hockey venue, but that would require (a) a massive remodel to somehow incorporate another 6000 or so seats, and (b) an NHL team on deck. I'm all in favor of saving the Coliseum, but I think there needs to be a viable alternative use with a solid constituency behind it to make the case for recycling/adapting the Coliseum. At this point, I don't know if anyone has a plan with enough popular support to make it happen. And I don't know if there's time to put one together, if the City is planning to fast-track the demolition. Amen! What kind of twisted logic must they be using to figure that it makes more sense to demolish the building and replace it with a useless stadium than to remodel the interior and make it a great concert/hockey/lacrosse/minor-league basketball venue? I think it's time for a major preservation campaign. I regularly attended Portland Rockies games in the late 90s - 20 or 30 a year. I APPROVE THIS PLAN! I also loved that old stadium by the Safeway, though. I'm new to Portland, but are there any local previsions that would slow down the process if it were made a landmark or listed in the National Register? Well said B , this us one of our finest pieces of Modern Glass Architecture , AND , our Veteran's Memorial. I had no opinion about the Mayor's personal life , but if he pushes thru this BAD IDEA , he will have pushed me into the RECALL CAMP ! You too Randy. Commish Saltzman must hear from us. As an Engineer he should love this fine building. Thank you David Jacobs for emailing your comments from New York City. Keep making that Pace Picante Sauce! Everybody, David is a good friend of mine, and he likes to be cantankerous sometimes. I also like to give it right back. I'm sure you don't really mean it, David old pal, when you call for a minor-league park to destroy one of the best basketball arenas ever built. The last time this came up about 5-8 years ago there was a major outcry from the Veteran's community. Unfortunately I haven't heard that in the press yet. I don't love the building but I'm sentimental about the Blazers of my childhood and the buildings presence in the background of 30 years of infill and improving our City's relationship to the river. I also see more green in reusing a building than destroying and building new. The reason the Rose Quarter has no life (outside of events) is because no one lives there. We are an urban core who live in niche neighborhoods and support our local commercial zones. RQ is a concrete and steel island with frantic accessibility for pedestrians. This solution adds more event nights but still no life. If I paid $100+ (if I'm lucky) to take my family to an event I'm not likely to stay and wander around spending more money before or after. 1. It is a Veteran's Memorial! 3. We'd be lucky to recoup the cost of demolishing with AAA ticket sales, let alone the cost of new construction and operating costs. The mayor and city council need to get out more. Street names, signage and minor league stadiums are very low in the zeitgeist of PDX. I am with you Brian 100%!! I have been to a Beavers game twice in my life...both times with free tickets. I wrote Sam Adams a long message comparing the destruction of the coliseum with the destruction of the old Portland Hotel. Everyone thought the Portland Hotel was out of date and in bad shape due to its decades of neglect...much like everyone's current thoughts of the coliseum. I went on to say that great and innovative architecture (which both were at the time) becomes a snapshot of history and past society's values and ideals. What did tearing down the hotel say about the values of the city at the time? I am still waiting for a response. I can not believe that our city is bending over backwards for Paulson. I am excited about the future MLS team, but definitely not at the expense of the coliseum. I still believe the Post office site is the best location for the stadium, but Portland has been throwing their junk on the East side for decades. The difference is the Portland Hotel couldn't be reproduced. The Coliseum is nothing but a glass cube. How visionary, how bold, how easily reproduced by a child with a lego set. With that said, I can't see why the stadium can't be put across broadway and the Coliseum used with the Live! thingy Paul Allen is working on. If you gut the Coliseum and put new building's to house the espn zone and other franchized crap inside, it might be pretty interesting. Plus you keep the views of the river. will some please thing about teh hockey? What about teh hockey!! How many times have you been in and around the Coliseum in the last ten years? It's ugly and uncomfortable and non-functional and an embarassment, really. I buy your argument about sustainability. I just don't see the Coliseum as worthy of saving for ANY other reason than that. What old stadium by the safeway? how many of you have bought a ticket to ANYTHING at the coliseum in the last 10 years. I'd like to see the attendance figures for baseball v. anything at the coliseum. Not to mention baseball at PGE is dank and crap and cavernous. A suitably size park at a transit center, with amenities and parking will ADD ATTENDANCE! Oh, and how is a big glass square honoring veterans? How about giving them something they can be proud of (and actually find). You are just romancing the past. Where were you when they built that big ol' p.o.c. called the Rose Garden Arena. I've lived in Portland since 1989, and been to Blazers games in both the MC and RG since then, plus been a Beavers 12 game ticket pack holder since 2001, and Timbers season ticket holder since 2003. Sports are a big deal to me, and as much as I have great memories of Memorial Coliseum, the time is now to do something to make the RG area more viable and attract people to visit there. The area is dead outside of Trail Blazer games, and the Coliseum has not held up well the past few years. The concourses are small, the concessions outdated, and the roof needs attention. I would feel differently if the building had been kept up over the years, but essentially, the MC has been ignored since the Trail Blazers moved. I know the Hawks have done their best to try and keep things up, but it's been piece meal at best. I love the prospect of putting baseball there, giving the area three sports with varying schedules, then add in commerce and restaurants to make the area more viable. It's a win for everyone involved, and while I appreciate the history of the MC (I've even roller bladed on the concourse), it's time for a change. My understanding is that the Coliseum is a "Rank I" resource on the City's Historic Resource Inventory, which would theoretically require some sort of demolition review, although that doesn't mean a demo can be halted. Brian is absolutely correct about the sustainability aspect of keeping the building and finding a new purpose. It seems to me that a certain developer in town was looking for public money to construct an east side concert hall. Why not renovate the Coliseum for such a purpose? The extra space could be used to develop a musician incubator - after all everyone in Portland wants to be a rock star, don't they? But seriously, SOM probably had more impact (post- World War II) than any other firm in Portland. The Coliseum is a huge landmark that would be a waste to throw away. how about making it a velodrome + bike musuem. why doesn't portland have a bike museum again? it could be a history of bikes and feature oregon bike builders and have workshops and teach bike safety. seems like thats enough to fill that space? D-U-M-B (four-letter word follows that; you pick it)? I'm a strong supporter of creative reuse and preservation, which also plays well with Portland green goals and aspirations. There can be a very rich design imagination tapped for a beautiful and ecologically oriented evolution of this place, think what Brad C accomplished in NYC, even if controversial. Secondly, I love when you take your gloves off and give us your strong personal opinion on something like this. You are very good at creating a site and discussions that are generous to both sides. And I appreciate it when you come out as passionately as you have here. The Memorial Coliseum is a worthy architectural artifact - in spite of its ignoble orgin - and should not be torn down in a rushed game of "musical stadiums". I like the velodrome idea. A re-used Memorial Coliseum could have a permanent display on the in-equities of urban renewal and what was lost (and gained) in the process. It would expand the "memorial" aspect of its name. And you might get Saltzman's vote in the process! Setting aside the issue of the MC for a moment, I would like to address the issue of baseball in the Rose Quarter. This is an absolute thumbs up no brainer. First of all you would be sharing infrastructure that is designed to accomodate a crush of 10,000 to 20,000 people but, Blazer playoff runs aside, is used very little from April through September. That would be a much smarter use of the land. Second, by having crowds there year round, you are giving businesses (again, that are designed to handle large crowds) within the immediate vicinity a chance to thrive. Again, smart, sustainable, and logical. There are quite a few districts across the country located at or near downtown that have a AAA baseball stadium, an NHL/NBA arena, and shared infrastructure, and they are all successful in terms of development, growth, and visitor attendance (Columbus, Oklahoma City, Buffalo, and Memphis come to mind but there are others). The reason I am bringing this up is because I think that people are conflating the MC issue with the question of siting the baseball and NBA arenas near each other. There are arguments for saving the MC, but I can't buy the argument that the baseball stadium is a worse use of that space compared to a redundant (not complementary) facility. Yes, the MC has architectural significance and I wish it could be saved. At the same time it is becoming a huge money pit and nobody has come up with a financially feasible alternative despite the fact that many people in town have tried to come up with an alternative for over a decade now. Blanchard would probably be a better site for the stadium, but who knows when that location would be available. I haven't seen the final mockups but at this point I'm willing to give the planners the benefit of the doubt based on the logic of sharing the infrastructure, and from what I've seen in other similar-sized cities, within similar-sized footprints. Yes, Blanchard would be a better site for the stadium, particularly if the minor league stadium is designed for easy expansion to a major league ballpark. The Memorial Coliseum space isn't big enough to support expansion for a major league team. And really, there's no reason to build a minor league park that cannot be expanded someday. The Memorial Coliseum needs to be re-furbished into a daytime attractor, as part of the effort to bring the whole district to life. It could be an athletic facility of some type, like the MARC proposal or a public aquatics center. I think making it a velodrome/bike center is a really cool idea. It could be a museum of some type; I think the Melbourne Museum (natural history, city history, health science, native peoples, and an indoor rain forest under one roof) would be an excellent model. So would a local version of the City Museum in St. Louis. Or maybe a major Contemporary Art Museum and Art Center -- the Regional Arts and Culture Council has over a thousand works in its collection already; that would be enough to start a display. Or it could be a public aquarium, which is a civic amenity that Portland lacks. Any of the above ideas would allow the Oregon Sports Hall of Fame to share space inside. In fact, there's no reason there couldn't be, say, a bike facility in the lower half, and a Sports Museum up top. Or some other combination. Or it could be a new combined rail/intercity bus station. Any of these ideas would build up daytime foot traffic in the Rose Quarter. A baseball stadium not only demolishes a historic treasure, it also expands the dead zone created by the Rose Garden. While I agree that it would be a monumental waste to tear down MC rather than update/reuse, the very mention of locating the baseball stadium in the suburbs is an absolute deal-breaker as far as I am concerned. Do you want it to fail? Look at past successful stadium locations around the country, and look at those who have failed miserably. A stadium of any type needs to be integrated into the urban fabric where people actually live, work and play, see it on a daily basis and have some level of attachment to it, not out in the middle of no-where, out of sight, out of mind. My point is that if tearing down MC is a non-starter, so is a suburban baseball stadium - and it should never be mentioned as an 'either/or' sort of proposition again. MC = ron paul's portland public market ringing around randy rapaport's music venue. please don't tear it down. if more people could experience the coliseum like that they'd love it. Even if the Memorial Coliseum continues to stand and serve, I'd be glad if the Rose Garden were to receive an exterior surround enclosure based on the MC's glass curtain wall design. I suppose that would be a blow to people that love the Rose Garden's design. I've heard that some do. Except for the MC's white facade at the top edge of the exterior wall of the building, of the two buildings, MC and RG, I feel like the MC is the far more elegant and graceful. However and wherever a new baseball park is sited, it seems to me as though a priority should be for the majority of the attendees to be able to arrive at the park by either mass transit, bicycle, or by walking. The Rose Garden complex's acres of asphalt parking lot wasteland are one of its worst, most cospicuous features. People that know the local history say that at one time, this area used to have lots of life and vitality (a real residential neighborhood, real restaurants and jazz clubs...night life ! ), kind of like what some of the RG complex brainstormers seem to think that complex is missing today. Getting rid of much of the land covered by asphalt, replacing it with some of the houses and businesses that were torn out decades ago to build parking lots in the area might be the best thing that could happen. Oh god, please please keep ESPN Sports Bar and this heinous 'Entertainment Zone' out of Portland. In addition to all the points that were previously mentioned, it must be recognized that sustainability, smart growth, and community centered development, require gradual, and deliberately implemented cultural shifts. The entertainment zone would stamp a massive failure in the center of the city, going against all the ideals of smart urban planning, and would validate in a big way, the cheaply manufactured, pre-packaged, and terribly depressing concept of corporate fun, the mere ring of which is gag-inducing, and stands out as a blatant oxymoron. This is scary. I think putting the portland public market in the rose quarter makes a lot more sense than at the base of the morrison bridge. portlanders need to take over the rose quarter and make it part of their city again. How many events at the MC annually vs. how many events at a baseball stadium? Who's the revenue winner? 'nuff said. I follow your blog religiously, Brian, and find myself agreeing with much of what you write. I went to Blazers games at the MC, including Finals games against the Bulls and Pistons. I just don't get it. I'm no architectural expert, but aside from nostalgia, there's nothing interesting about the MC. It's a glass box. I would love to see that glass box reused for a better purpose, but I don't understand how or why the MC is so architecturally appealing. By the way, I'd love to see the MC become an aquatics center, along the lines of the King County center up in Washington. I remember back in the day, when the Blazers still played in the Museum, they would open the doors and let people rollerblade around the corridor! Someone mentioned a bike musuem. Why not turn it into an indoor bike racing track? Or a roller derby track (with the Flaming Lips rocking out on stage in the middle?) Hasn't there been a few ideas for it over the years? A Costco, a Major Gym/Recereational facility? Baseball aint really the game in Northeast Portland anyways, right? from what i've seen of the PDC/Adams charrette options it appears the proposed stadium on the MC footprint would not be able to be expanded to allow for MLB. that alone should put the brakes on this notion. how extraordinarily UN-sustainable would that be? tear down one building for another that may be obsolete in ten years or so. as a side note: does anyone know who participated in this exercise? with all the planning/design talent available the options shown leave a lot to be desired. "Baseball aint really the game in Northeast Portland anyways, right?" Leave baseball at PGE, and build the soccer stadium on a landfill site, instead of creating landfill with TWO stadiums. I know it would be difficult, but a baseball stadium overlooking Smith and Bybee lakes could be beautiful and truly green. Below is a news link about a soccer stadium in Portsmouth, UK built on a landfill. "Portsmouth chief executive Peter Storrie said the new stadium was 'perfection'"
MC is ugly. Knock it down. Put in a garden or ballpark or whatever...just make that eyesore go away. You know how the neighbor kid is not that smart or attractive but the parents are sure they have the next Obama. Guess what, the MC is that kid who is not very attactive or smart and stinks. Really, why save an ugly building just to show later generations we were able to build ugly things? The MC is a dump. One example. Ever been in the bathroom there? No air circulation so bathroom is gross if anyone in the prior 3 hours had digestive issues there. And the comment about Vegas DNA is moronic. Nothing wrong with mimicing things that work in other cities. If something works in LA or Vegas then why dismiss it out of hand as something that must be un-Portland thus evil? That is insane. Portland does some things right but screws itself often when tries to re-invent the wheel. Remember the disastrous millions flushed to update PGE Park? Look around beyond the 503 area code and you will find a entertainment district like LA's Staple Center which is amazing. Saying "MC is ugly" is just your opinion. An overwhelming majority of architects, architecture historians, and architectural enthusiasts disagree. When you say, "The MC is a dump," you're speaking to the building's disrepair, which is something different from its original architectural qualities. Bathrooms can be renovated, pal. Regarding the Vegas DNA comment, I think you're missing the point. I'm not attacking Vegas because it has "things that work". Vegas is not successful when it comes to anything resembling a healthy urban environment. It's an adult Disneyland in a city choked with sprawl. If people like visiting Las Vegas, that's fine. But it's not a good example of how to design the heart of a major urban area like Portland. My point is that Vegas, even if you don't hate its culture as much as I admittedly do, isn't the right model for Portland, Oregon. This week was our second successful rally in Salem to save the Oregon School for the Blind. Though the 136-year-old OSB is a far more historic facility than Memorial Coliseum and OSB is truly vital institution to a vulnerable population, I would be glad to also support your MC picket line. However, I will not support short-changing PPS students millions of dollars by taking the BESC now. If PPS were to sell the BESC, it would be fiscally prudent to wait until the real estate market and Rose Quarter rebound. All of the negative comments are the same comments people said 60 years ago about the Portland Hotel and every other Victorian era building that was destroyed..."Eyesore, ugly, out of date, a dump". The MC could never be duplicated even though people just think it is a glass box. A glass box...larger than a Portland city block. The roof is held up by just four (yes four) columns which allow for such expanse of glass. Its minimal simplicity is what makes this building extraordinarily innovative for the time - and would still be if it were built today. Seeing that top b/w photo with those '50-60s American cars with the glass box in the background informs (me at least) of the spirit and will of Portland and the country of the early 1960s. Ironically the last large convention at the coliseum was the Portland renovation and restoration show just a few weeks ago. What about siting the baseball stadium across I-5 where the old Holiday Park Hospital is? I'm not sure how many of the surrounding blocks you would need to take to make it work. You can use the parking at the Rose Quarter by putting in one or two pedestrian bridges over the freeway. By putting the ballpark against the freeway, you then create a buffer to the freeway that would make the rest of the Lloyd District and Convention Center area more inviting. Also, the new pedestrian bridges would better link the RQ to the rest of the Lloyd District. Bottom line, who wants to live next to a freeway? But having views into a ball park might spur more buildings like the Civic in the Lloyd District. Second, renovating the MC as an arena just for the Winter Hawks doesn't pencil out. But when you put PSU basketball into the mix, that might change the game a bit. A lot depends on whether PSU can maintain its momentum as a basketball team. On March 31st, I sent the following letter to Mayor Adams and the 4 City Commissioners. I got no response from any of them (or their staff). I know that "the train is quickly leaving the station" to get the many pieces in place to make the Major League Soccer proposal come to a successful conclusion. I am in support of the proposition, assuming that ways can be found to adequately protect the public's investment. Further, funds should not be diverted from other essential city services to make that happen. I have basic confidence that lots of creative minds are are working on finding ways to address these concerns. However, I am not writing to address those issues. My concern has to do with Memorial Coliseum. As part of the proposed deal, there has been lots of talk about tearing down Memorial Coliseum to make room for a new minor league baseball stadium. My advice: DON'T DO IT! If Portland is really going to add as many as half-a-million to a million residents in the next 20 to 30 years, you will need that facility! To replace it in the future will cost far more to build another facility than it ever will to do the maintenance and keep the facility going and usable. Memorial Coliseum is a great facility. With love and care it can be renovated or transformed into a facility that we will use long into the future. There are other options for locating a baseball stadium. Many of these have been discussed in the last decade as the issue of bringing major league baseball was studied. These studies should be pulled back off the shelf and re-evaluated. Further, the notion of looking at the Rose Quarter and Broadway/LLoyd districts in a larger overall planning context, with all affected players at the table, (including the City, Paul Allen's group, Paulson's folks, Vets, those of us interested in keeping Memorial Coliseum, etc.) is a much better strategy for addressing the question of how best to site a stadium in the district. I realize "time is of the essence". However, sacrificing a major civic resource for short term gain without looking at the larger issues is a poor strategy. One of the things Portland takes pride in is it well thought-out, public planning process for making these kinds of decisions. Further, the future of Memorial Coliseum should be a public process. I am concerned about Paul Allen's group's stripping the building back to just a space-frame roof over an outdoor concert venue. That doesn't save the building for future needs any better than the tearing down the structure for a ball field. This is a public facility, for public benefit. It's future needs to be decided in a public forum, not in an out-of-sight process by those with financial interests which may be in conflict with the City's long term goals and interests. Again, I ask you to step back and slow the process a little. It won't kill the soccer deal. I'm sure we can find ways to get the stadium issue solved in a timely manner. I would be more than happy to volunteer my time and efforts to participate in any task force or public planning effort to address this issue. Thank you for your time and consideration. Please, please - don't demolish Memorial Coliseum in a short-sighted effort to find a home for a new baseball stadium." 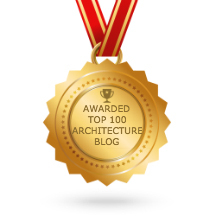 @clonigro: Thanks for explaining why the MC is seen by some as architecturally interesting. I don't agree, but at least now I understand the opposing view. 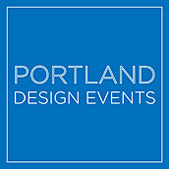 The Portland Chapter AIA Downtown Urban Design Panel (DUDP) is holding a session tomorrow (Tuesday the 14th) to discuss the issue of Memorial Coliseum and the Rose Quarter. These meetings are open to everyone to attend. See the notice below for specifics. (Note: from 12 to 1 PM the committee will be discussing another topic first - the Streetcar Master Plan). Quarter plans involving Memorial Coliseum." Frank D writes The Coliseum is nothing but a glass cube. How visionary, how bold, how easily reproduced by a child with a lego set. Ever since I moved to Oregon in 1972, and Portland in 1975, I've loved the Memorial Coliseum. I saw many a Blazer game, and Billy Joel concert there; graduated from PSU there; hockey...just lots of great memories, but also a beautiful building. I agree, Brian, we should try to save it, reuse it...not just tear it down. Don't know why the Frank D above --whoever he is-- is so dismissive, but this Frank D (always Frank Dufay, no hiding) thinks you're right on the money on this one. Save The Coliseum. Hell YES! As far as a AAA baseball stadium, I am totally for the idea. I have no issue with either a new MLS franchise or a new stadium. But why do they have to tear down one of the last icons of old Portland to do it? And of course the building is showing her age......that is what happens when a building is neglected. Sports arenas are not immune to 50 years of use, not to mention 50 years of being exposed to the elements. Rehab, renew, reuse! Here is a chance to let our voices be heard to save/refurbish the Memorial Coliseum. All the chatter of baseball, soccer, and basketball. What about hockey? Remember there are quite a few of us hockey fans out here who pay taxes and care about the WHL. Where will the Winter Hawks play? Why is hockey getting the short end of the stick? *Parking available at the City Center Parking garages south of Weidler, across the street from the Leftbank building. So a national developer wants to come in and install an entertainment district called, "Live! ", because it worked in Kansas City? Aren't we cooler than this? I mean seriously, this isn't a strip mall. The only time I've been inside the MC was when I saw Barack Obama speak. The arena seemed in great shape to me. I was actually impressed. With so many eyesores in the city, this should be one of the last to be torn down. We're trying to grow, right? Then let's not take one step backwards before we take two steps forward. I would love to see NHL Hockey come to Portland. Wouldn't this plan lessen the chance of NHL in PDX? I emailed all the members of the City Council. Please see the announcement I received from Amanda Fritz below. Now is the time for the City's citizens to apply pressure and save the MC. Don't let these developers ruin our city. They can locate the baseball stadium somewhere else. Thank you for your message. There are two crucial votes coming up this week on Wednesday morning on funding the soccer deal and removing Memorial Coliseum. On Tuesday evening, there is an Open House on changes to the Rose Garden area which will destroy Memorial Coliseum and hinder the Blazers' plans for a 24/7/365 Entertainment District there. 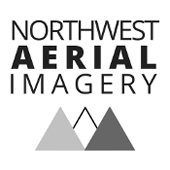 Please see http://www.portlandonline.com/fritz/index.cfm?c=49203 (my city web site, Next Up at City Council page) for this coming week's opportunities to raise your voice with concerns about the current direction. It will take citizen pressure to change the majority on the Council on this matter, and the time for that pressure is now. Yes I see the points here, I really think it would be great to see the Colliseum saved and used for something else. We already have a baseball stadium and pro baseball and this has not been very successful here as Oregonians are recreational people and during the summers many are in Eastern Oregon and the beaches enjoying what the state has to offer. I think Sam Adams is going to propose wasting more money the city does not have..Lets Save the colliseum and use it for another venue, it is truly a landmark of our city. is it possible to turn MC into an indoor soccer? too small? No to tearing down the MC! All the history, The Blazers NBA Championship and the great Buckaroo Hockey WHL championships, not to mention the fact that it is a MEMORIAL to our war vets. Why? so we can have a minor league baseball park built there so that we can have major league soccer? How many people really care about minor league baseball and any kind of soccer at all? Not me, especially in this economy! I say tear down the coliseum and replace with anything elese! Although it is a memorial, it is NOT architecturally pleaseing at all! It looks like any other box structure built in the 60s/70s. Plus does it really make sense to have two facilities (rose garden) right next to each other that serve the same purpose?? Baseball needs to be a the Rose Quarter to thrive. PGE is too massive for baseball (plus, its not an option once MLS comes to town). Rose Quarter already has the infrastructure for the big crowds. Just having parking will increse baseball attendance. The only issue I had with tearing down MC was accomodating the Winter Hawks, which it now appears that the Blazers and Rose Garden are willing to do. The Coliseum itself is redundant as an arena, and we must realize that any decision to keep it must be accompanied by millions of dollars in renovations. I fail to see the architectural significance. Its a giant box made of glass. Not unique or interesting. I love the MC, but from the time it was conceived it was obsolete. The seating capacity is too small. It should have at least 5,000 more seats. The ice rink is 15 feet shorter than NHL standards, with no way to expand it without a major renovation to the arena. I do realize at the time there was no standardized rink size rule in the NHL, but it was adopted few years later that any new arena or expansion team must have an ice surface of 200 x 85 feet, ruling out Portland and the MC for NHL expansion. Portland's baseball history is as long as any city in this country. Build the Beavers a first class Triple A ballpark where the MC is. Recycle ALL the materials possible. Replicate the "Glass Palace" look for the new ballpark. Call it "Veterans Memorial Park". Honor the Vets, the MC and the Beavers with the new ballpark. I'm glad people are speaking up for the Coliseum for its architectural attributes. I thought the piece in the Oregonian a couple of Sundays ago by Mr. Emmons did a decent job of explaining the architectural value. Randy Leonard, on the other hand (see last week's Tribune), doesn't seem to get architecture at all. That being said, the practical-minded taxpayer doesn't like an underused asset taking up space, when something more useful could replace it. So the question is, what use? As a sports arena, the Coliseum has been underused since the day Paul Allen announced the Rose Quarter, and careful scheduling at the Rose Garden and other venues could probably cover the rest of the events still being held there. Beyond that, only a narrow spectrum of ideas have been brought to the table so far -- the athletic club, the big box store, and demolition in favor of the ballpark. Though certain powerful people are saying "win-win", none of these proposals is moving toward a consensus among the public, for a variety of reasons. But this community does have one need which can be well-satisfied at the Coliseum. We need a new main library. Our beautiful Central Library is an embarassment. It's too small for the thousands who use it every day. In fact, it's the smallest main library of any community our size in North America. The 149 computers made available in the 1995-7 remodeling have been insufficient from Day One. There are no study rooms for two or more people to work together without disturbing other patrons. Forty percent of the books are hidden in the basement. Don't you wonder what's down there? No other big city library in America has more than 25% in closed shelving. Most other communities our size have built new main libraries in the last twenty years: Phoenix, Chicago, San Antonio, Seattle, Vancouver and more. Portland, this so-called City of Readers, is going to have to build a new library before long. It's fair to ask why we haven't heard this from the library administration. Here's my take: though the remodeling squeezed as much use into the building as anyone could hope for, Director Ginny Cooper was afraid to ask the voters for a new building. She may have judged the mood correctly at that time; in any case, we still have the problem. Her replacement, Molly Raphael, mentioned a look at spacial needs early on, but her offfice's 2006 Strategic Plan doesn't address it. If you'll allow the possibility that we are going to have to do something, consider that these other cities have spent as much as $175 million to build from scratch. But at the Coliseum, we have the land, the foundation and the structurally sound shell, the parking and freeway access, Fareless Square, and windows for natural light. I propose that we build a building-in-a-building. Hollow it out, and build about four floors inside. The library could easily fit on two floors. The library administration could move in, and sell their real estate on N.E. Russell Street. The Portland Public Schools Administration could move in, too, and sell their Blanchard complex (to Merritt Paulsen?). It would be a good thing for these two sets of administrators to be neighbors; just a few weeks ago, the Oregonian reported that PPS's libraries need help. The public will never allow A.E. Doyle's Central Library to be sold or destroyed. It should remain as a super branch, like Gresham or the Midland Branch on 122nd Ave. This use, however, would only occupy one or 1 1/2 floors. The rest could be leased commercially or used by the City, the County, or other government. It is desirable -- it has unusually large rooms, is ready for earthquakes, and has modern furnishings, wiring and HVAC. This is not a proposal to spend money. It is a proposal to save money. The price of a new library could be cut roughly in half. Central's clerks, who fetch books from the basement, would disappear from the operating budget. While there are currently fourteen librarians at the information desks at any particular time, a well-designed new facility could cut that number significantly. Who would own the two library buildings? All of the following are possible: for either building, the City, the County, the Friends of the Library or some other non-profit set up for the purpose, or a private owner who would serve as developer and would issue a friendly lease. Outside appraisers would have to be involved in the process, so that no party would feel they are losing assets. Who knows, maybe the school district could become Merritt Paulsen's landlord. Can we admit we goofed in staying with Central Library in the 1990's? Can City, County and school politicians and administrators cooperate to make a better community and to save tens of millions of dollars? I'm not optimistic. I would note, though, that even though this involves taxpayers in three distinct jurisdictions, there is a heavy juxtaposition in the taxpayer lists. Will library patrons go to events at the Rose Quarter, and will sports fans go to the library? Probably not. But the library will bring thousands of people of all stripes through that empty plaza all day, every day. It's not the Blazers' latest vision, but they had their chance at redevelopment, and they failed. I'm staying away from the issues of subsidizing millionaires and private business, and of rushes to judgement. I do like baseball, and I'd watch it at PGE Park, Blanchard Field or in Lents. I wish the mayor had allowed more time to consider ideas like this one, which, by the way, came to me from a library employee. But I frankly admit I don't know how to get an idea on the community's table for discussion, and I can't get on the Oregonian's op-ed page because I don't have the cachet of Doug Obletz or of the paper's own editors and columnists. Do you like this idea? Do you think architects would be intrigued by a design contest for a building-in-a-building? Frankly, I'm looking for allies. In any case, thanks for reading. Being a native Portlander who sat through so many Blazer Game from '83 - '92, I'd hate to see Memorial Coliseum demolished for a minor league baseball stadium. That being said, I think beyond the proposed demolishing of MC, Portlanders need to re-think this age long perpetual conversation of "baseball in Portland." I say NO to a minor league stadium. Portland is no longer a MINOR league US Metro Area. A few years back, Portland pitched to Major league Baseball to acquire the relocation of the Montreal Expos (now Washington Nationals) - despite the team going to Washington DC - the proposal was a great read. I don't care one bit about baseball OR basketball, but appreciate fine architecture and public event spaces. To my limited knowledge, the only reason the Coliseum is rarely being used is because the city and sports aficionados built that "new and improved" monstrosity next to it with taxpayer dollars. Please don't be too short sighted, and find a good use for this gem before it's too late!